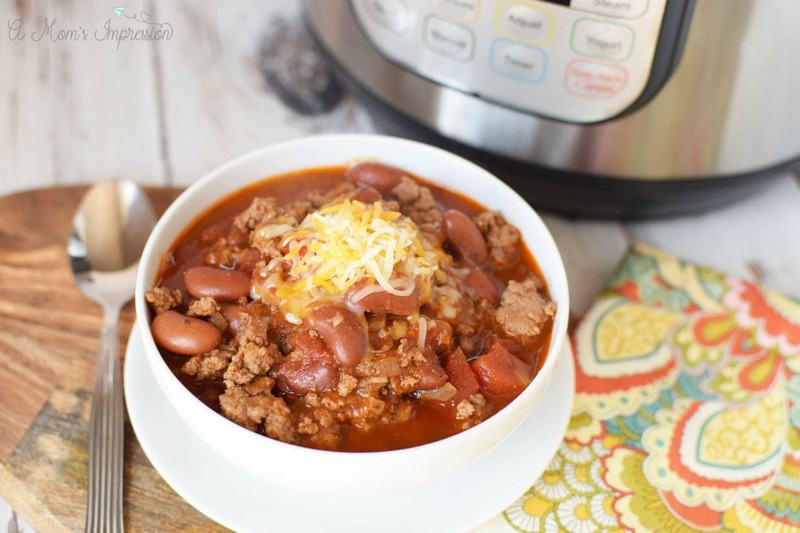 Have you been wanting to jump on the Instant Pot/ pressure cooker craze but want an easy fail-proof recipe? These Easy Instant Pot Recipes for Beginners include chicken, pasta, soups, pork, and beef. These are a great way to ease yourself in using a pressure cooker. If you know me, you know that I love my Instant Pot. It has been an amazing appliance for my family. I love how easy it is to make dinner in one pot and in less time than traditional cooking methods. The best part is having just one pot to clean up after dinner. You probably know someone who is raving about their new pressure cooker and you want in on the fun. If you are new to pressure cooking there is a little bit of a learning curve, but don’t worry, you will be a pro before you know it. Be sure to check out our Pressure Cooking Guide for everything you need to know to get started! 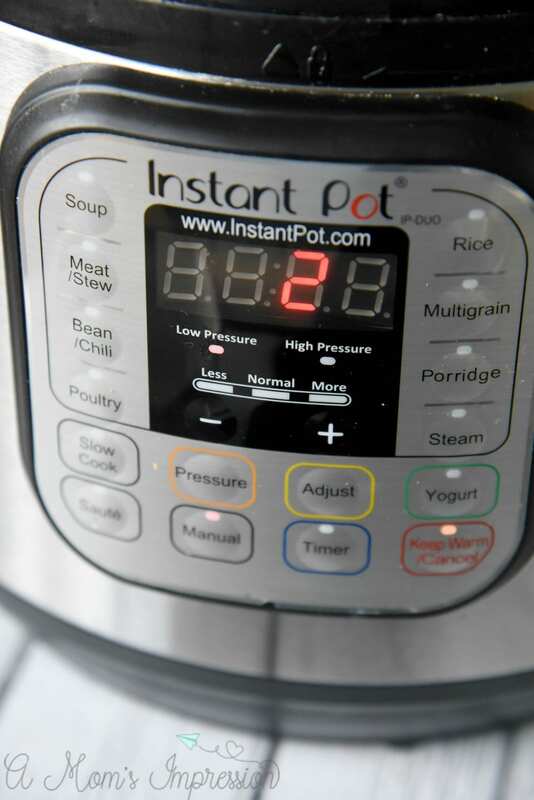 Over the past few years, we have posted a ton of Instant Pot Recipes on our site. We have tried everything from Instant Pot pumpkin cheesecake to Mississippi Pot Roast in our pressure cooker and have loved the results. Today we are gathering a few of the most simple, yet tasty, recipes from some of our favorite websites for you to try out. 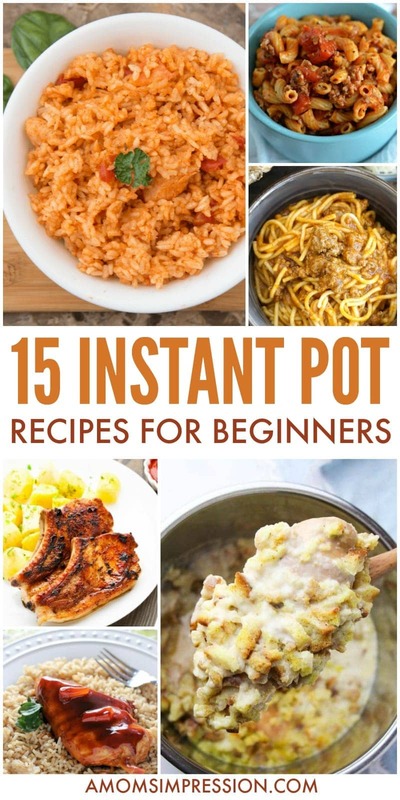 While these are great Instant Pot Recipes for beginners, if you have had your pressure cooker for a while don’t worry, you are going to still want to check these out! Its 30 minutes per pound on the roast beef, and I have not made scalloped potatoes in my IP as of yet. I would refer you to Pinterest to search for a recipe. I would love to help. Feel free to email me at amomsimpression@ gmail.com!